Baked haddock typically stays moist in foil packets. Haddock is a mild-flavored white fish with a firm texture that flakes into large chunks. It has a slightly sweet meat that is comparable to tilapia or cod. 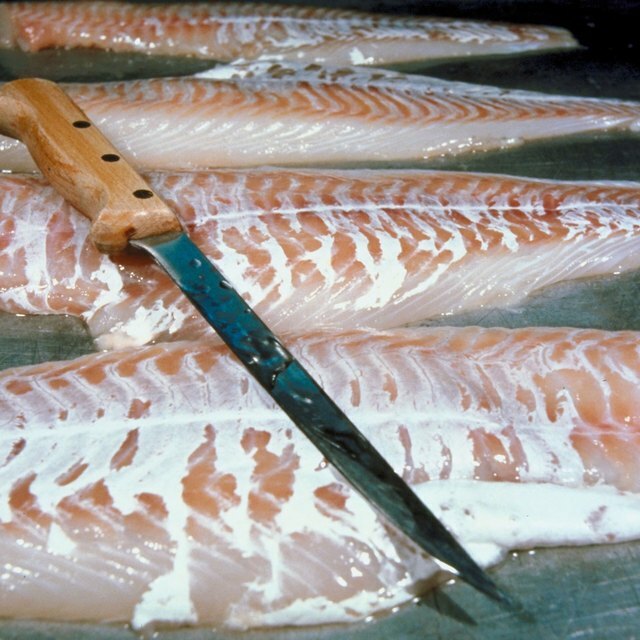 You should cook fish thoroughly while still retaining moisture; however, it's not always easy to achieve this result. If you're not careful, what you'll get is fish that's overcooked and dry. Foil packets prevent moisture from escaping, while the steam in the packet can cook the fish to perfection. The packets also allow you to cook individual portions -- and include your preference of vegetables and spices. Adjust an oven rack to the lower middle position. Preheat your oven to 425 degrees Fahrenheit. Cut a piece of aluminum foil roughly three times the size of each haddock piece, whether you're cooking a whole fish or haddock filets. The foil must be large enough to completely wrap around the fish and other ingredients with room to spare for folding. 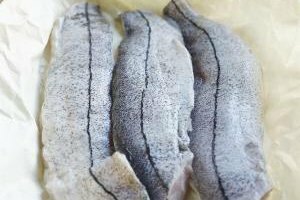 Place any vegetables you wish to cook with the haddock, such as pepper and onion strips or zucchini, in the center of the dull side of the aluminum foil sheet. Season the vegetables as desired with salt, pepper, or other spices and seasonings. Place the haddock on top of the bed of vegetables. If you choose not to bake the haddock with vegetables, simply center the haddock on the dull side of the piece of foil. Add you choice of seasonings to the fish. Try basic salt and pepper, garlic, paprika, lemon pepper, or a seafood seasoning blend. A drizzle of olive oil and fresh lemon juice also works well with haddock. Bring the two long sides of the foil up to meet over the fish. Fold the edges down about 1 inch and continue folding until the fold meets the fish. Fold in the open ends with a 1 inch fold to form and completely seal the packet. Place the foil packets seam side up on a baking sheet -- and place the sheet on the lower middle rack in your oven. Bake at 425 degrees F for about 20 minutes or until the meat is white rather than translucent and flakes easily when you pierce it with a fork. Unwrap the thickest haddock filet and insert a meat thermometer in the thickest part. The fish is done when the internal temperature reads 145 degrees F.
The mild flavor works well with practically any flavor combination or culinary style, from Asian to Cajun and anywhere in between. Cook's Illustrated: Fish En Papillote?